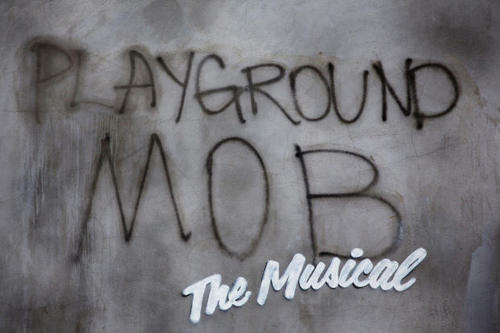 Banksy Takes New York! One Month Long Bizarro, Interactive Art Show. No One and Everyone is Invited. 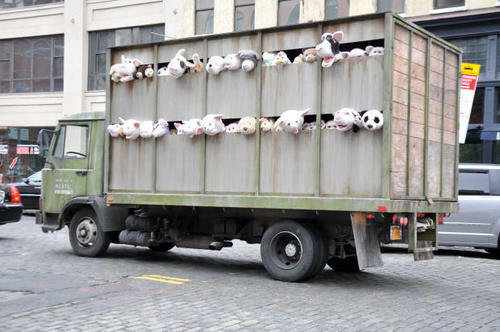 ‘Sirens of the Lambs’ is the name that Banksy gave to a mobile installation art piece which he had driving through Manhattan’s meat packing district. On. 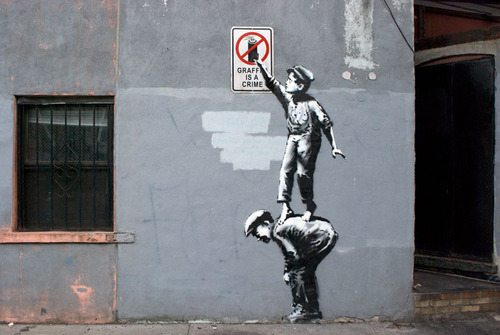 Oct. 9th, Banksy hopped a fence on Manhattan’s Lower East Side and set up and painted this elaborate piece. There are certainly going to copycat stunts going on during Banky’s US visit. Part of that is his goal and his thrill. Banksy challenges us to see art where there isn’t any. He makes us question the value of art; anything can be art and you can’t always possess it. Painting on the streets makes people look for art where they normally wouldn’t and it’s temporal quality reminds us that everything is fleeting. “Banksy, a street artist whose identity remains unknown, is believed to have been born in Bristol, England, around 1974. He rose to prominence for his provocative stenciled pieces in the late 1990s. Banksy is the subject of a 2010 documentary, Exit Through the Gift Shop, which examines the relationship between commercial and street art.” -Bio. Next Shame on You NYC. Seriously? Almost ALL of the New Banksy’s Are Already Destroyed? !